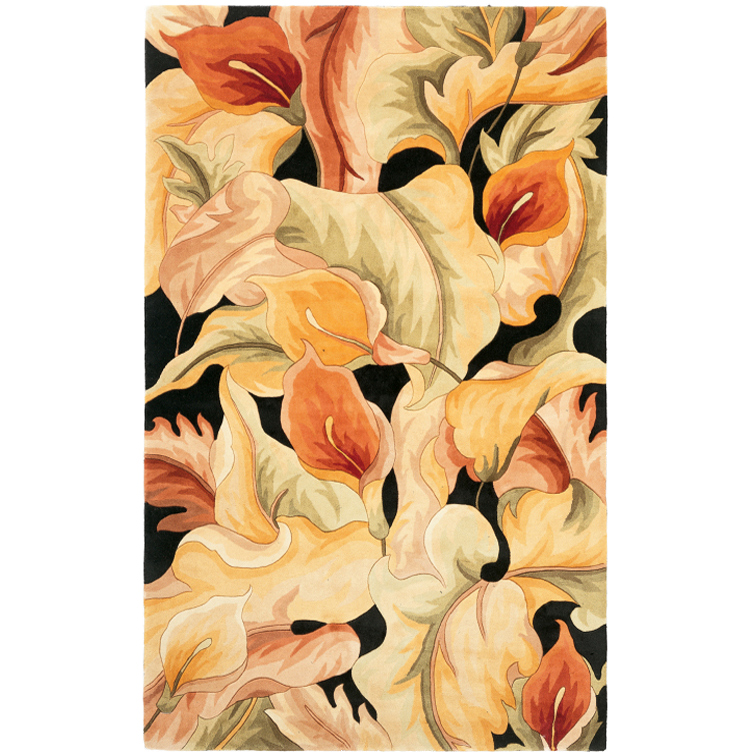 Create a tropical atmosphere in your entryway with the Catalina Black Calla Lilies Rug - 3 x 5. This nautical area rug features flowing calla lilies standing out from a black background for defining style. For even more items, we encourage you to spend some time to shop our thorough array of coastal area rugs at Bella Coastal Decor now.